That the industry caters to a narrow demographic. In reality, the market is comprised of three distinct groups: Recreational users who are choosing to consume cannabis as an alternative to alcohol. Medicinal users, who are treating an illness or ailment with a cannabinoid that provides relief or cure. And lastly, wellness users. We think the wellness category will become the largest segment over time as it will bridge recreational and medical use to provide both lifestyle and quality of life benefits. By building tools that help retailers not only meet their compliance and regulatory requirements but improve the customer experience, too. 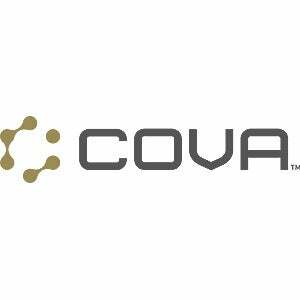 For example, Cova Express Check-out allows a client to self-shop and order in seconds through an integrated kiosk that provides real-time inventory updates. This technology reduces labor and helps with shopper flow through the store, while many customers may not want to interact because they know what they want. When Cova launched, we set very high expectations for the quality of service we wanted to deliver. However, meeting that goal means creating a flawless user experience at every touchpoint. We learned that we need sales, contracting, onboarding, and support to compete (and beat) the current POS software providers in this industry. This also means our software needs to be intuitive, robust, reliable, and provide accuracy and security. We will continue to work relentlessly to create a “best in class” software option for cannabis retailers. The continually evolving nature of the cannabis industry. Market-by-market and store-by-store, the people, ideas, culture, and innovation in this industry is remarkable. We see operators who are learning and implementing retail best practices that garner outstanding results, while others are breaking the mold of what a retail store can be and are reaping the benefits. It’s an exciting time to be in the industry. That there is no limit to where this industry will go. Today, pundits and investors discuss cannabis-addressable markets without a full understanding of the constraints related to regulations, laws, the science, and future acceptance of the industry.